Scientists from three UK universities have developed a new test to catch drugs-cheats in sport. Over the last 10 years, the GH-2004 team, which is based the University of Southampton, has been developing a test for Growth Hormone misuse in sport with funding from the World Anti-Doping Agency (WADA) and US Anti-Doping Agency and with support from UK Anti-Doping. 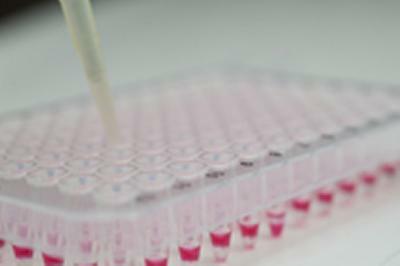 The test, developed by the University of Southampton, Kings College London and the University of Kent, is based on the measurement of two proteins in the blood, insulin-like growth factor-I (IGF-I) and the amino terminal pro-peptide of type III collagen (P-III-NP). Both of these proteins, which act as markers of growth hormone use, increase in response to growth hormone. The work of the GH-2004 project built on previous research from the GH-2000 team which was a consortium of leading growth hormone experts from London, Gothenberg, Aarhus and Naples, in partnership with the two European growth hormone manufacturers (Novo Nordisk and Pharmacia) and statisticians from the University of Kent and was mainly funded by the European Union under their Biomed 2 Programme (BMH4 CT950678) and the International Olympic Committee. The latest test was used for the first time by King’s College London analysts at the anti-doping laboratory for the London 2012 Olympic and Paralympic Games. On 8 September 2012, the International Paralympic Committee announced that two powerlifters had received two year suspensions for Anti-Doping Rule Violations involving Growth Hormone following an adverse laboratory finding using the new markers test. The case was a world first as some of the latest testing methods were used which were only introduced prior to London 2012. The new method is able to detect misuse of human growth hormone over a number of weeks, compared to previous methods used which only detected use over a shorter time period. Professor David Cowan, Head of the Drug Control Centre at King’s College London and Director of the anti-doping laboratory for the Games, said: "These findings prove that the years of research have been worthwhile. In partnership with the University of Southampton and Kent University, this has been one of the most complex scientific projects the Drug Control Centre at King’s has been involved in. To be able to carry out this test at this year’s Games is a huge achievement. It represents a big step forward in staying at the forefront of anti-doping science, to help deter drug misuse in sport." WADA President John Fahey praised the test by saying: “The new test – which has been approved by WADA – was first introduced prior to the London 2012 Olympic Games, and we are confident that it will prove a significant tool in the fight against doping in sport.